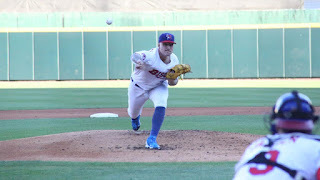 BUFFALO, N.Y. -- Behind another ace-caliber start from Sean Reid-Foley, the Bisons captured a 7-3 win in Buffalo Tuesday night. 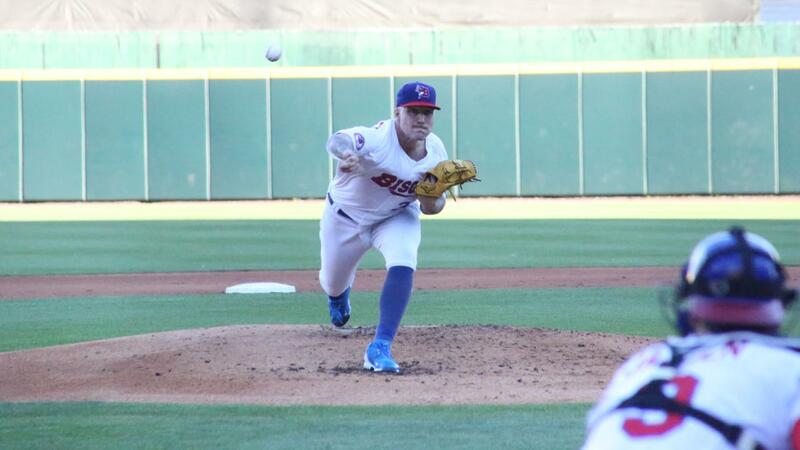 Reid-Foley was spectacular once again on the bump for the Bisons. He tossed six innings of one-hit, one-run baseball on his way to his sixth win of the season, which is tied for the team lead in that category. "Every time he takes the mound for us it feels like we have a really good chance to win," manager Bobby Meacham said after the game. "That's what you want out of any starting pitcher." "He looks calm like he knows what he wants to do and even if the results aren't great pitch to pitch he's able to regroup and make some good pitches, and that's what you saw tonight." After giving up a solo home run to DJ Stewart, Norfolk couldn't touch Reid-Foley as he settled in nicely to blank the Tides the rest of his start while striking out five batters. He recorded one of his fastest velocities of the season--a 98 mile per hour fastball in the first inning. The Bisons stranded the bases loaded in the first and fell behind 1-0 but secured a foothold of the lead in the second. Reese McGuire walked and the Herd had the leadoff man on base for the second straight frame. Darnell Sweeney then clubbed a gapper to right-center field to score McGuire all the way from first to knot the game up at one. In his return to the Bisons from a thumb injury, Dalton Pompey gave the Bisons the lead after he drove in Sweeney on a sacrifice fly. Pompey tacked on another RBI when he drew a walk in the sixth with the bases loaded. Danny Jansen added an insurance run in the fifth. He reached base on an error, rocketing a sharp ground ball through the legs of Tides' third baseman Renato Nunez that allowed Richard Urena, who reached base on an infield single, to score. The Bisons posted a three-spot in the sixth to gain a sizable lead. The big hit of the inning came on McGuire's RBI-double one game after he slugged a grand slam. Jonathan Davis has played well since being promoted to Triple-A and he delivered two hits Tuesday night. "Without a doubt, hits give you confidence as a hitter," Davis said post-game. "I think the more that I've played this game I've realized that you have to be confident every time you step into the box no matter if you are 0-2 or 2-4. You got to want the next at-bat because you're going to get it regardless." "That's what I try to do each and every day, go up there and give it my all." Despite leaving eight runners on base and hitting 1-11 with runners in scoring position, Buffalo took advantage of seven walks. Five of the seven runs the Bisons tallied were scored without a hit. The Herd goes for the sweep Wednesday in an afternoon contest to close out the series with southpaw Matt Tracy expected to get the starting nod.